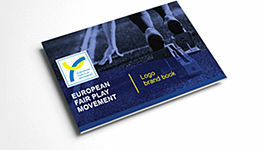 European national sport entities and sport organizations with aims coinciding with the aims of the EFPM. 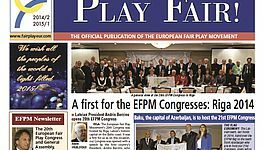 Each European country is to be represented by only one sport entity or organization, which has the right to speak and vote in the EFPM General Assemblies (10 votes each) as well as to present candidatures for posts at the EFPM Executive Committee, given that it fulfils the obligations set forth in the present Statutes. 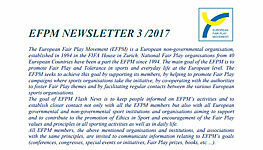 International sport entities and organizations which have established a mode of bilateral cooperation with EFPM (Joint Venture, Memorandum of Understanding or else) in the field of Sport and Fair Play. The Associated members have the right to speak and vote at the EFPM General Assemblies (1 vote each). Persons, bodies, institutions, organizations and / or commercial enterprises that support the aims and goals of the EFPM through financial or other contributions. The supporting members have the right to speak but not to vote at the General Assembly. European personalities or organisations having distinguished themselves in the promotion or in acts of Fair Play. Nominations for such memberships shall be presented by the Executive Committee to the General Assembly and the acceptance of said nominations must be approved by at least a two-thirds majority of the cast votes. The Honorary members have the right to speak and vote at the EFPM General Assemblies (1 vote each). European national sport entities and sport organizations with aims coinciding with the aims of the EFPM, the affiliation of which has not been finalized, their application being under examination. The Applicant members have the right to speak but not to vote at the EFPM General Assembly. All members are obliged to be bound to the present Statutes and they shall act to the best of their abilities in favour of the aims and the interests of the EFPM, benefiting consequently from all the rights deriving from the present Statutes.